The ​Beta Pi Chapter joined forces with Coastal Bend College (CBC), Alice, as they established "The Closet." 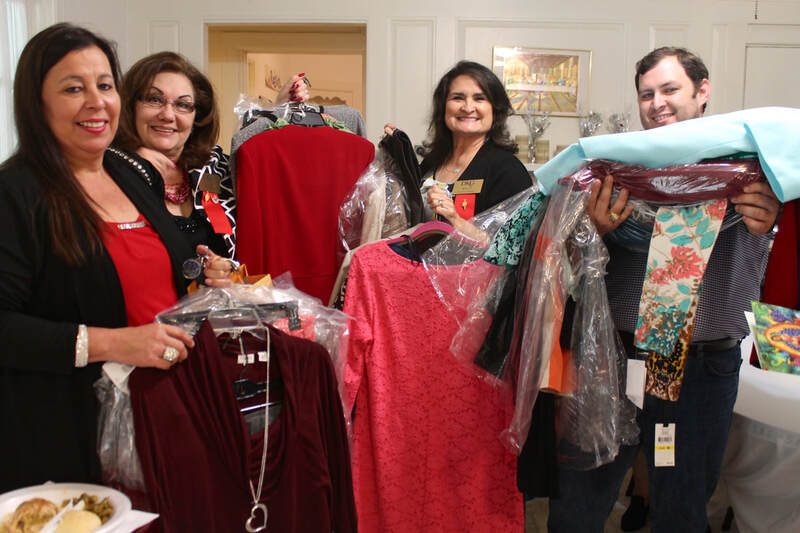 Beta Pi donates new and gently used clothing to "The Closet" for their students to "Dress for Success" for job interviews, employment and special occasions. "The Closet" has clothing and accessories for male and female students and is open to students during college hours. The project began Spring of 2017. CBC Professor Juanita Dominguez and Adviser/Recruiter D. Addison Smithwick, presented a program on "The Closet." They explained the vision and goals and how "The Closet" has helped several CBC students. Dominguez and Smithwick left the Beta Pi meeting with their hands full of clothing, accessories and gift cards donated by members. Beta Pi members have continued to donate to "The Closet."